What if shocking your muscles with electricity helped them grow and develop faster? What if it could reduce exercise-induced muscle damage and help you recover better from your workouts? What if it could straight up make you stronger? Well, this is why people buy and use electrical muscle stimulation (EMS) machines. They believe they’re an easy and safe way to gain muscle and strength faster and boost post-workout recovery. You might want to believe, too, but you’re skeptical. On one hand, the whole approach sounds pretty scientific, and haven’t we seen various professional athletes hooked up to these machines? Then again, some scientific studies aren’t worth the paper they’re published on and some athletes will beat the drum for anything that brings a paycheck. EMS machines are expensive, too, so there would need to be a considerable payoff to justify the cost. EMS isn’t silly pseudoscience, but it’s also not as great as the machine manufacturers would have you believe. Yes, it’s safe, but no, it’s not going to dramatically impact muscle growth or recovery. That said, it doesn’t mean you shouldn’t necessary give it a go. You should just have the right expectations. And that’s what we’re going to down in this article. break down what EMS is, how it works, and what science has to say about its effectiveness. Does EMS increase muscle growth? Does EMS improve muscle recovery? What’s your take on electrical muscle stimulation? Have anything else to share? Let me know in the comments below! 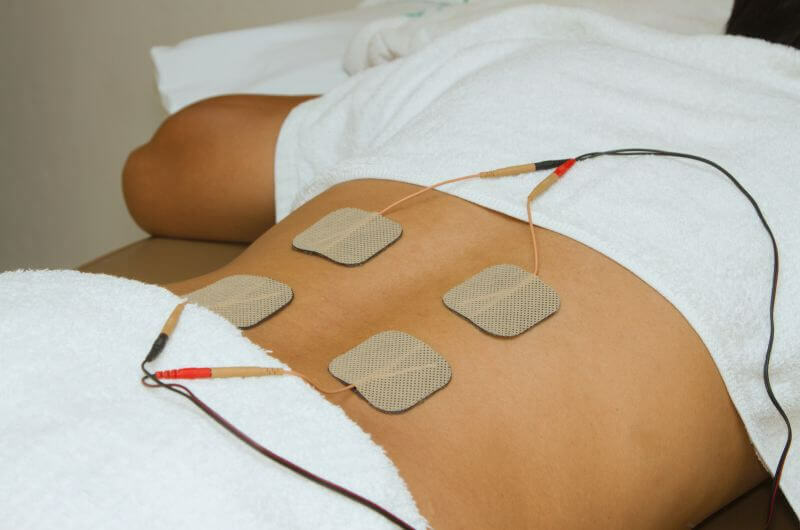 Electrical muscle stimulation is exactly what it sounds like: using an electrical current to stimulate your muscles. This can be done because your muscles naturally contract in response to electrical signals sent by your brain, and EMS machines replicate these impulses, causing muscles to contract on command. This is where things get grey. EMS leapt into the limelight in 1976 when a Soviet scientist named Yohan Kots unveiled research showing that EMS could boost strength by up to 40% in elite level athletes. This perked a lot of ears, and since then, hundreds of studies have been done on EMS. At bottom, weightlifting involves contracting your muscles over and over, and they respond by growing bigger and stronger. EMS also contracts your muscles over and over, so theoretically it should be able to stimulate muscle growth too, right? No studies to date have found that EMS can boost muscle growth to any significant degree. This isn’t surprising when you consider the physiology of muscle growth. There’s no external load with EMS, which means no progressive overload, and there’s no range of motion, which also plays an important role in muscle development. EMS is a very weak stimulus for muscle growth and shouldn’t be considered a muscle builder. The first point is fairly obvious (there’s a reason why the strongest people in the gym are generally the biggest, too), but the second and third are often overlooked. By “muscle efficiency,” I’m referring to how thoroughly and forcefully your body can recruit and contract its muscle fibers. The more individual fibers in a muscle that can be activated, and the harder and faster they can fire, the more weight they can move. 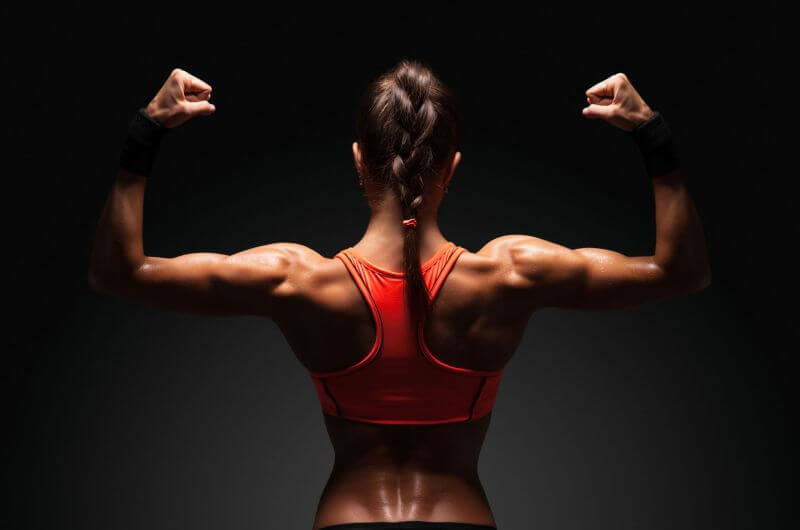 This is why muscles can get stronger without getting bigger–they can “learn” to work more effectively, allowing you to get more power out of what muscle you currently have. By “movement efficiency,” I’m referring to getting better at exercises and reducing the amount of wasted movement and energy. For example, if you’re wobbling back and forth while squatting, that wastes quite a bit of energy that could be going into moving the weight up and down. This is why most strength programs have you do a lot of compound weightlifting and place a lot of emphasis on proper form. The more you properly practice any physical activity, whether throwing a baseball or doing a squat, the better you get at it. And in the case of the squat, the better you get at it, the more weight you’re going to be able to handle. Now, EMS, we’re told can increase strength by improving muscle efficiency. That is, by “teaching” your muscle fibers to fire more effectively. You see, when the brain tells a muscle to contract, many of the muscle’s individual fibers fire, but, in most cases, some are held in reserve to take over when those doing work get tired out. EMS, on the other hand, causes all of the individual fibers in a muscle to contract at once, which is why studies show that it can activate about 30% more fibers in a given muscle than simply flexing it. The theory, then, is that by doing this frequently, you can improve your body’s ability to recruit more muscle fibers when under tension (from weightlifting, for example). It sounds good in theory, but how does it pan out? Well, some studies have found that EMS produced slight strength gains use, and others have found that it makes no difference. Unfortunately, the bulk of the research available on is flawed for a number of reasons, which makes it hard to draw conclusions one way or another. EMS, we’re told, can accomplish the same by using shorter, gentler electrical pulses to mimic leisurely exercise. This theory has been disproven, however. Studies show that EMS doesn’t improve muscle recovery or reduce muscle soreness. Scientists believe this is likely due to the fact that EMS doesn’t increase blood flow in the same way as active recovery does, which is one of its key benefits. At this point, you’ve probably lost interest in EMS. The machines are expensive and the science says they’re unlikely to help you in any significant way. That said, if you don’t mind the price tag and are just curious if EMS can help you gain strength faster, like it has for some people in some studies, then let’s look at how to do it right. If you’re going to give yourself the best chances of success with EMS, then you need to follow several rules of thumb. 1. Target one muscle group at a time. EMS machines can only work if focused on one muscle group at a time, so don’t try to hit your chest, quads, biceps, and back all at once. 2. Do limbs one at a time. You want to maximally stimulate the muscle being targeted, and putting the leads on both limbs will dilute the current. 3. Keep the muscle relaxed in a comfortable position. You want the muscle being worked to be at complete rest, with no tension. 4. Don’t stimulate antagonistic muscles simultaneously. Every muscle has an antagonist, which is another that pulls in the other direction, contracting when the other relaxes and vice versa. For example, the biceps’ antagonists are the triceps, and the quads’ are the hamstrings. So, if you’re targeting your biceps with EMS, don’t hit your triceps as well. Work them separately. 5. Place the electrode pads properly. If you get this wrong, you’re going to hamper or negate the results, so follow the machine’s instructions. 6. Don’t skip the warm-up. You don’t want to jump in on a cold muscle with the most powerful current your machine can produce. Instead, start with the warm-up protocol, which uses gentle, one-second contractions to get the muscle tissue ready for the more powerful stimulations. Where EMS has benefitted strength, it has been used in conjunction with resistance training to stimulate muscles trained previously in the day. So, for example, if you trained your upper body today, you could use EMS on your pecs, shoulders, and triceps. For best results, wait 6 to 8 hours after the training session before doing EMS, allowing the muscles to partially recover from the workout. And in terms of the EMS protocol, after a warm-up, stimulate your muscles with 6 to 10 seconds of hard contractions, followed by 50 seconds of rest. Repeat this 10 times and cool down in the same way that you warmed up. Most people that have reported success with EMS recommend 2 to 3 EMS sessions per week per major muscle group, with at least 48 hours in between sessions on individual muscle groups. Compex’s machines are generally considered the best. They’re simple, reliable, and used by top athletes in a variety of sports. They make several different models, ranging from about $200 to $1000, and the most popular one is also the cheapest: the Compex Edge. Another unit often touted is the Globus Speedcoach line. They start at over double the price of the Compex machines, but some people swear by them. 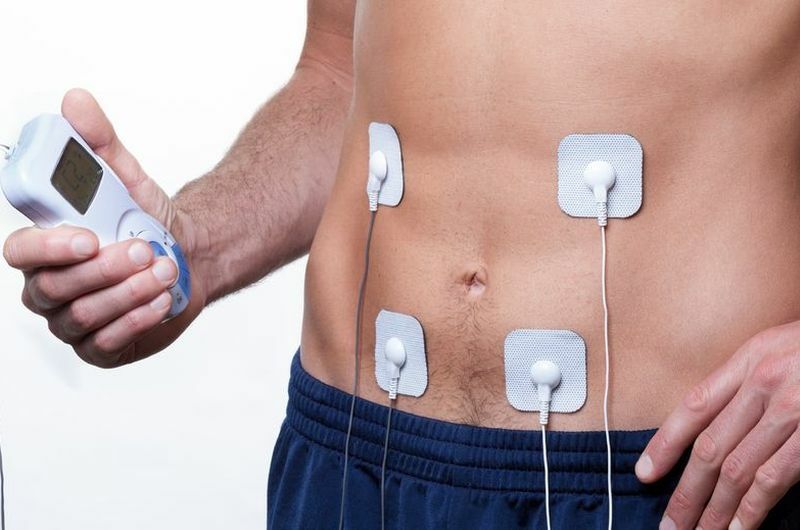 Electrical muscle stimulation isn’t what many people say. It’s not going to significantly improve your performance or recovery, but it’s not an outright scam, either. 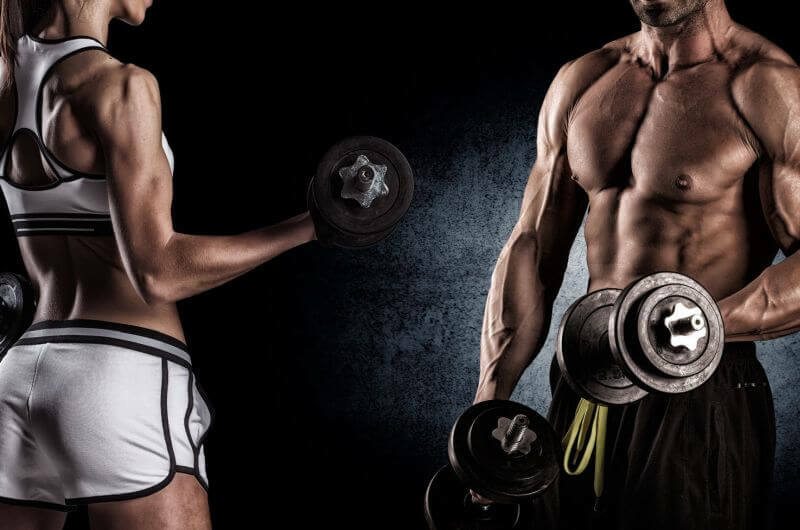 There’s some research that shows that it can slightly increase strength if combined with regular weightlifting, but it’s unlikely to help you gain muscle faster or reduce muscle damage or soreness. It may also help you maintain your fitness (stave off detraining) better if you’re injured, traveling, or can’t get in the gym like you normally do. That’s about all we can say about electrical muscle stimulation for now, but I suspect we’ll know more in the coming years, as more studies are conducted on it.